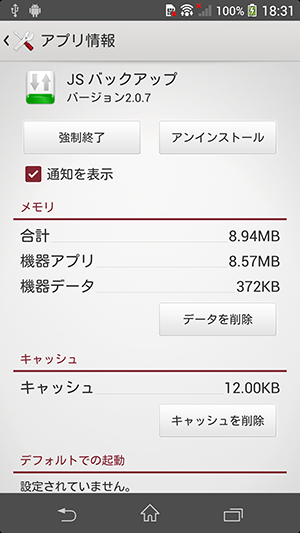 Provided by Johospace Co., Ltd, it is an app for backing up and restoring smartphone data. 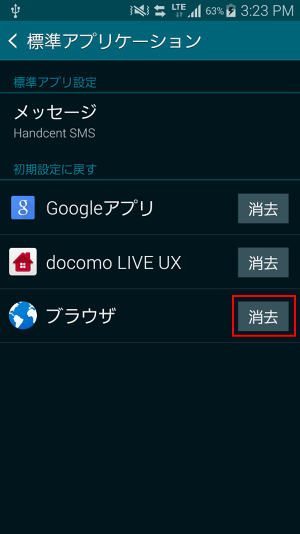 Is JSBackup a Docomo service? 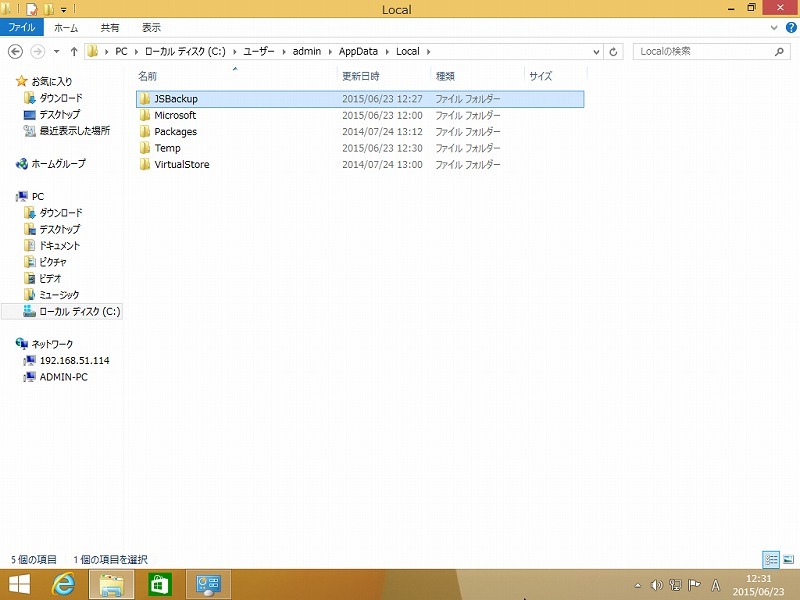 It is provided by Johospace Co., Ltd.
Where can I get JSBackup? If you own an Android, you can be downloaded from GooglePlay. If you own an iPhone, you can be downloaded from AppStore. If you backup of the smartphone by the Windows 7 or later version, you can be downloaded from JSBackup Website. Yes, it can be used for free. Standard app data (directory, calendar, bookmarks, etc,) pictures, music, video, documents, and Jorte app data. However, we recommend that media files like picture and video be transferred while connected to Wi-Fi. Directory, calendars, pictures and videos. However, we recommend that picture and video be transferred while connected to Wi-Fi. Where can I back up my files with JSBackup? 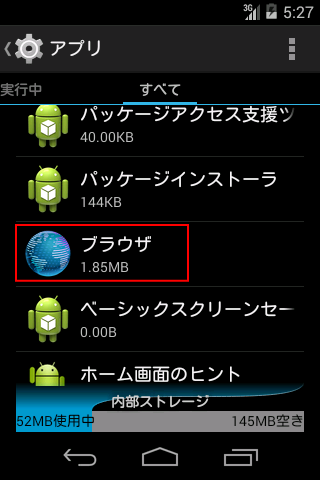 Android: SD cards / Data Storage Box (provided by Docomo) / Dropbox / Google Drive / Sugarsync. iPhone: Data Storage Box (provided by Docomo) / Dropbox. 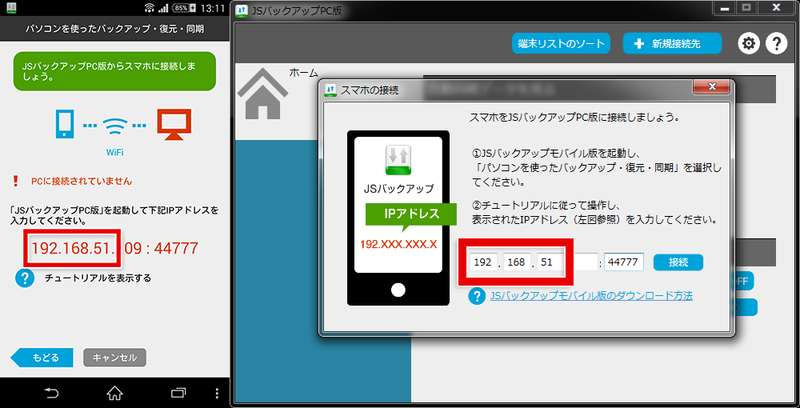 *When performing a data transfer from Android to iPhone, please use Data Storage Box or Dropbox. How can I delete backed up data? Touch "Show Other Functions" on the JSBackup launch screen and perform data deletion from "Backup Data Deletion." *Please delete data on the cloud separately. Will SD card data be backed up? Usually, it is backed up. Images and videos that you can browse in the gallery and such on the phone itself will generally be backed up. Will data be overwritten if I restore? Generally it will add the data so there's no issue. Additionally, by configuring at restore you can overwrite as well. Can I transfer my smartphone directory groups as they are? Currently, you cannot carry over your group settings. I forgot my Apple ID/password. It says my Apple ID/password is incorrect. An Apple ID and password is required to install JSBackup. You can search for your Apple ID and reconfigure your password from the Apple company site: MyAppleID. You cannot create an Apple ID. We ask that those using iPhones select the Settings app on their home screen and create an Apple ID from iCloud. When I select Dropbox as a backup destination, it says "Invalid e-mail address or password." If you're unclear about your ID and password when transferring data, you will need to restore to your transfer destination upon creating a Dropbox account once more and perform backup processing in advance. Please refer to "I changed to a different model before getting a data backup." if the transfer source phone is already unable to communicate. I forgot my Dropbox password. If you know your ID, you can reset your password. Please touch "Forgot your password?" on the Dropbox login screen. What should I keep in mind when picking a Password? If the same password is used for the accounts of multiple services, there is a high risk of accounts being taken over. We recommend using. I can't backup images/video with JSBackup. If you are not using the latest version of the JSBackup app, you may need to connect to Wi-Fi to restore images and videos. In that case, please connect to Wi-Fi or check after you have updated the app. *Please inquire with each device's manual or your communications provider in regards to how to connect to Wi-Fi. I backed up my smartphone data with the JSBackup app, but when I check the data at restore the files won't display, what do I do? - Is Dropbox showing as your backup destination? 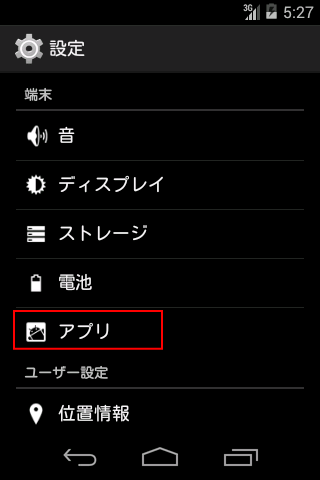 If it is not displaying on Android, or if "Not logged in" displays on iPhone, press the "Modify" button on the right and choose a backup destination. - Is there a number displaying beneath "Restore file"? If none is displayed, press the "Modify" button on the right and select the applicable file. If no files are shown, please press "Get Newest File." If none displays even then, there is a probably the backup was not completed correctly or that the backup source account differs from the one used at backup. - I want to move data from a smartphone I was using before. My previous phone can't use communications. - I changed to a different model before getting a data backup. If the phone you used before can connect to Wi-Fi, you can transfer using JSBackup. *Please inquire with each device's manual or your communications provider in regards to how to connect to Wi-Fi. I performed a data transfer with JSBackup, but some of the data wasn't transferred. - If data is partially unable to transfer (for example directory names and similar,) please run a back up on the transfer source smart phone once more. Please refer to "I changed to a different model before getting a data backup." if the transition source device is already unable to communicate. *Please check Q&A #17 if only images and videos are unable to be restored. When my save destination is Dropbox and I push Start, it says "SD card free space is insufficient." (○B/○B)Please run after deleting unneeded files or using a new SD card to ensure free space. * Even if you are backing up to the cloud, it will be used as a workspace. 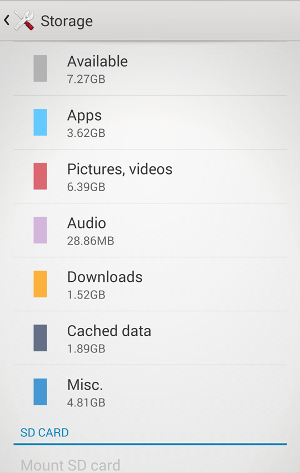 Free space on the SD card is required. - When Dropbox takes backups with JSBackup, the zip file that will upload is temporarily created in the SD card (or internal storage.) As there is a possibility that there will not be sufficient space to create the above mentioned file, please delete SD card data or insert a new SD card and try again. - There is a possibility your SD card path settings are improper. Select the JSBackup app's "Settings>SD Card Path Setting>Specify SD Folder" a select the folder and try again. JSBackup shows "Failed to obtain backup file list, please wait sometime and tap the Get New File button" error but when I use it after waiting it doesn't improve. Firstly, please check the DropBox data from a PC or smartphone. If data exists, please relaunch the app and run a restore again. Or, please run the restore again after reinstalling the app. If data is damaged or unable to be confirmed, please backup again and run the restore once it's fixed. *Please refer to "I changed to a different model before getting a data backup." if the transfer source phone is already unable to communicate. My smartphone has shown a message of "Backup failed. Do you want to re-try?※Since the task of this app may be terminated.". How can I resolve it?? We have found that some of task manager app will stop our app to perform a backup process. If you have installed a task manager app, please stop it running temporarily to perform a backup with our app. 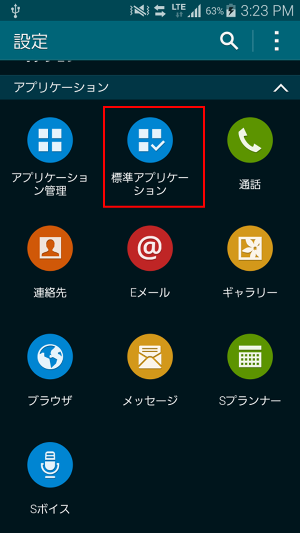 ※A Task Manager app is such application which shows you the apps, processes, and services that are currently running on your smartphone. You can use a Task Manager to stop some apps running to improve your device’s performance. I can't restore SMS and MMS messages to my smartphone smartphone with OS android 4.4 and higher. Since the Android OS 4.4 has changed its policy of the permission, current version of our app is not allowed to access the SMS and MMS messages now. We are working to solve this problem and preparing to release it in a few weeks. Which folders are automatically backed up if automatic backup option is turned on? I have entered the IP address on the PC App as requested but failed to connect. How can I resolve this problem? Smartphone and computer have to be connected to the same WiFi network. Check below to confirm if this is fulfilled. If the first three parts of the address matches with the PC app then both are in the same network. If the first three parts are different, the phone and the computer are not on the same network. Please check and reconfigure the network. If no number is displayed on the PC app, then the computer is not connected to any network. I am currently using a mobile wireless router and have entered the IP address on the PC App as requested but failed to connect. Some mobile wireless router have privacy settings that block connections between devices. Please check with the manufacturer whether such option exist and how to turn it off. We apologize for only packaging 32-bit version in the version 1.3.1 which made installing both 64-bit and 32-bit versions simultaneously possible(causing some features to not work as expected). We released version 1.4.1 to fix the bug. 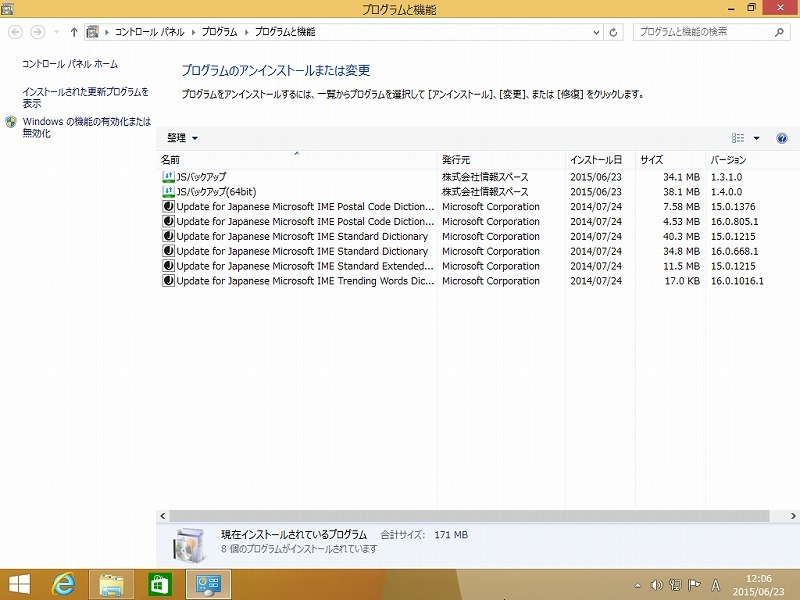 Please install 1.4.1 64-bit version and uninstall 1.3.1 32-bit version. Case: How to confirm whether both 32-bit and 64-bit versions are installed on you PC. 2. 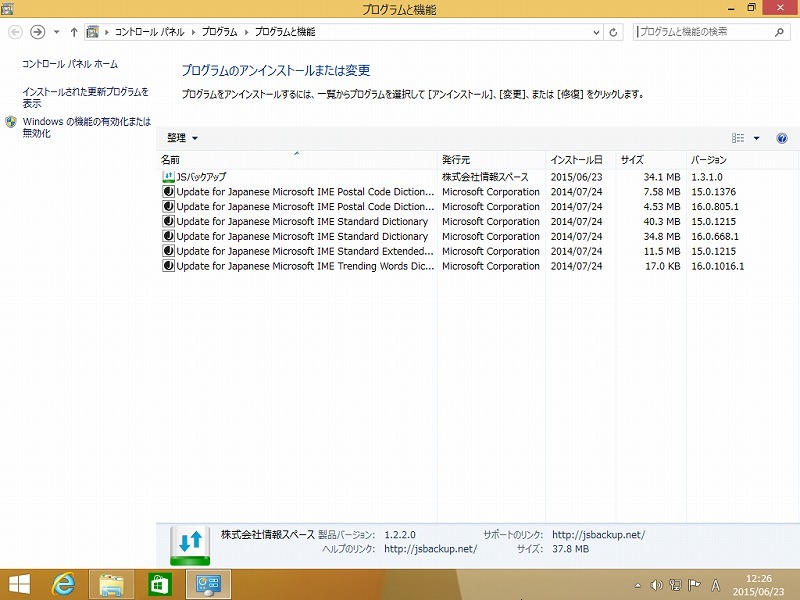 If there are two “JS Backup” applications, you have installed both 32-bit and 64-bit versions. You do not need to do anything if there is no “JS Backup”. If there are two , please continue the operations below. 1. Open “Control panel” -> Programs -> Programs and functions. You will see the screen below. 2. If only 1.3.1 version has been installed, Please update to version 1.4.1 or higher version. 3. Download the latest version from “JS Backup” official website. Before starting the downloaded application, please close the application currently running on you PC by right-clicking the icon on the task bar. *After you close the JS Backup running on your task bar, please install the latest version you downloaded and click the “start” button. The data you created in old version will be imported to the latest version. 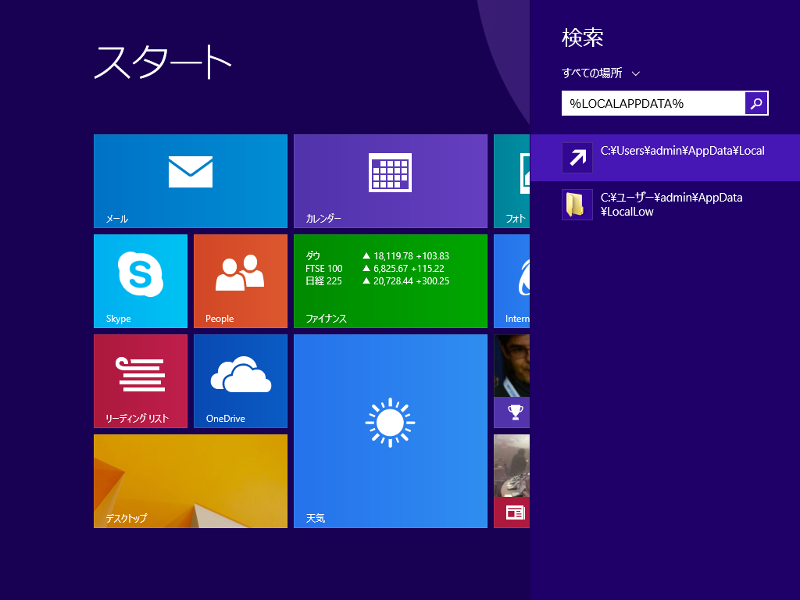 Case: If you installed both 32-bit and 64-bit versions, but you have not closed 32-bit version from the task bar. 1. Please right-click the JS Backup icon on the task bar and close it. 2. If you are using Windows 8.1, please search JS Backup 64bit version form the search screen by clicking Windows icon on the left down side and click the magnifying glass icon on the right up. 3. Enter “JS Backup” into the search bar and the following screen will be displayed. 4. Please click JS Backup (64-bit) and start the 1.4.1 version. You could import current date in you new version now. 2. Enter “%localappdata%” into the search bar and press Enter. The screen below will be displayed. 3. Click the first search result, and the screen below are displayed. 2. If there are two JS Backup icons, please right-click the 32bit version and choose Uninstall. Attempt to read the database has failed. It is very likely that this error is caused by the cached data of your smartphone. Please try to clear your cache. 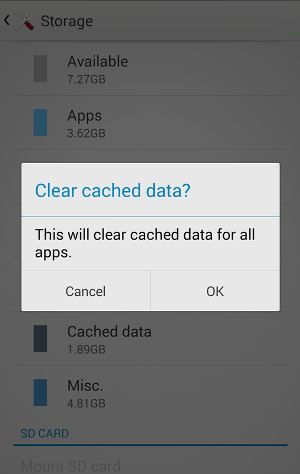 Go to the Storage settings and click on Cached Data to clear. An unexpected error has occurred and the application has terminated. What should I do? An internal error likely has occurred. To help us investigate possible causes, could you please send the following information to apps@jsbackup.net. We thank you for your cooperation. 4.which feature was in use when the error occurred. I have entered an email address and a password but have not received the activation mail . The email maybe incorrectly entered. Please start up the JS Backup application and confirm whether the email address shown at the purchase screen contains an error or not. If you have spam filtering settings on, the mail could have been blocked. Please make sure you can receive email sent from apps＠jsbackup.net then try registering again. If you are not sure how to change the spam filter settings, please contact the customer support of your service provider. Depending on your email client application, it is possible that the link could not be pressed. In that case, You could activate the account using the default browser application. Please follow the user guide written here. The following screen is displayed after selecting the plan. 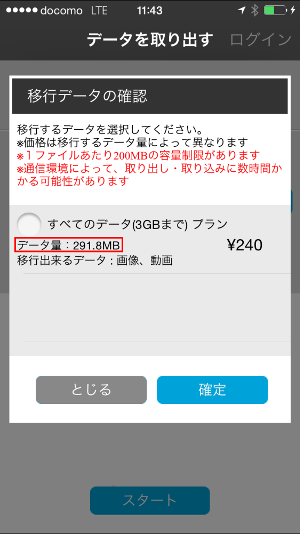 This screen is displayed when your data size is over the limit of the plan with the largest capacity. The program will export data in the following order until the limit is reached. *For data of the same file type, newer files will be exported before older files. 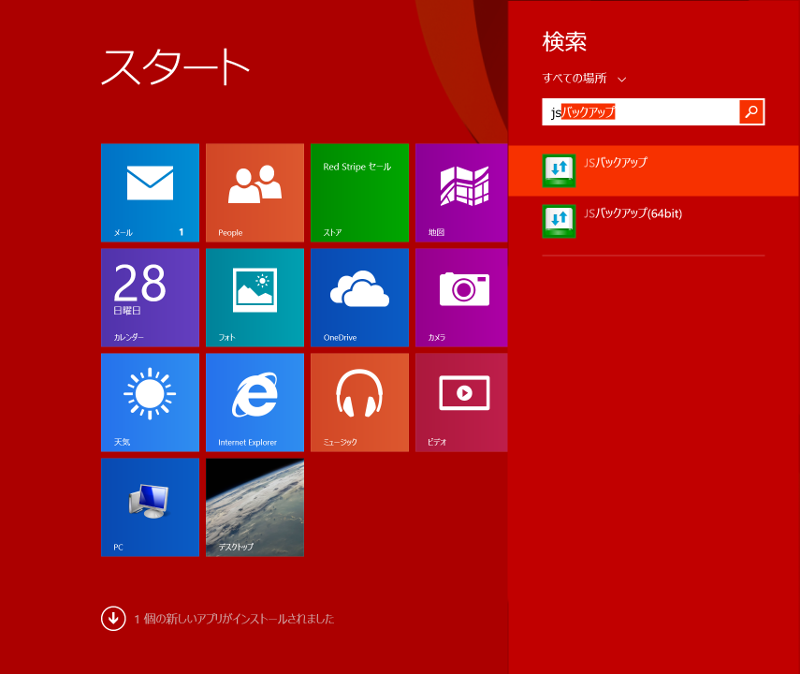 The following screen is displayed after pressing start. 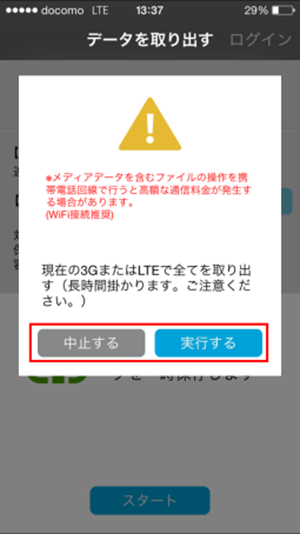 This screen is displayed when you try to backup/restore on a mobile cellular network(3G or LTE). This screen is a reminder that when transferring multimedia files, a lot of bandwidth is used up, thus you could be over your monthly limit and your mobile internet bill could possibly increase significantly if you do not have an unlimited internet plan. We recommend connecting to a WiFi network whenever possible. I have forgotten the password to my premium account. Please start up and go to the home screen of JS Backup and tap on Settings>Easy data transfer settings>Change/Reset account password to reset the password. I have lost the QR code needed to restore the data exported using a premium account. 4. Choose ”Login with premium account” and login with your account. 6. Select “use account credentials” to import without QR code. Can I delete the stored transfer data from js cloud? 1. After import has successfully been completed, a message box will pop up asking whether you want the data to be deleted. How come the data size displayed on the premium option purchase screen is different than the actual data size stored in the smartphone? The premium option of Easy data transfer can only transfer files that are under 200MB. The data size displayed on JS Backup thus excludes the files that are over the 200MB limit. Can I register an account with my computer email address? Can I activate the account via a computer? If you have an Android click hear. If you have an iPhone click hear. The following message is displayed: “Because transfer data size exceeds the purchased storage limit, some files cannot be exported.” How can I backup all of my data? After considering most users’ internet condition and backup time tolerance, the premium option of Easy data transfer has set a maximum transfer limit of 5GB. Please manually delete unnecessary files until the total size is under 5gb in order to backup all of your files. We thank you for your understanding. 1. 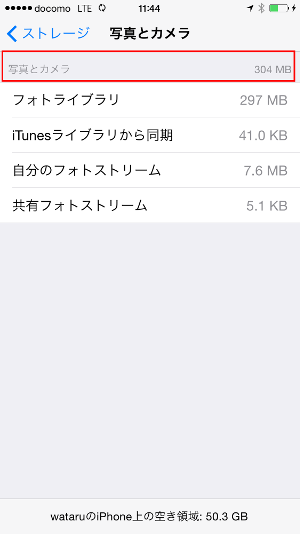 Delete photos, videos, music, documents (photos, videos for iOS) until less than 5gb of multimedia files remain. 2. Select from application home screen Settings>Easy data transfer settings>Remove backup data to clear. 3. Select from home screen Easy data transfer>Export data to export the files again. - If the problem was not fixed with the above solutions, please inquire to the address below. When doing so, if you can inform us of which device you use, your OS version and what type of data you transferred it will lead to a smooth correspondence, so we ask for your cooperation.